Russia and the United States agreed Wednesday to cooperate on a NASA-led project to build the first lunar space station, part of a long-term project to send humans to Mars. The project envisages building a crew-tended spaceport in lunar orbit that would serve as a "gateway to deep space and the lunar surface," NASA has said. An international base for lunar exploration for humans and robots and a stopover for spacecraft is a leading contender to succeed the $100 billion International Space Station (ISS), the world's largest space project to date. On Wednesday, the Russian space agency Roscosmos and NASA said they had signed a cooperation agreement at an astronautical congress in Adelaide. NASA said the agreement reflected the two agencies' common vision for human exploration. "While the deep space gateway is still in concept formulation, NASA is pleased to see growing international interest in moving into cislunar space as the next step for advancing human space exploration," Robert Lightfoot, acting administrator at NASA headquarters in Washington, was quoted as saying. The Russians and Americans would cooperate to build the systems needed to organise scientific missions in lunar orbit and to the surface of the Moon, Roscosmos said. The Russian space agency added the partners intended "to develop international technical standards which will be used later, in particular to create a space station in lunar orbit." Russia, the United States and other participants agreed it was important to work using unified standards to avoid future problems in space, Igor Komarov, Roscosmos's general director, said in televised remarks, citing the trials of Sandra Bullock's astronaut heroine in sci-fi thriller "Gravity". "Taking into account the country's extensive experience in developing docking units, the station's future elements—as well as standards for life-support systems—will be created using Russian designs." NASA said it planned to expand human presence into the solar system using its new deep space exploration transportation systems, the Space Launch System rocket and Orion spacecraft. Russia and the United States also discussed using Moscow's Proton-M and Angara rockets as well as other spacecraft to help create the infrastructure of the lunar spaceport, the Russian statement said, adding that the main works were slated to begin in the mid-2020s. Space exploration is one of the few areas where international cooperation between Russia and the US has not been wrecked by tensions over Ukraine, Syria and elsewhere. Russia and the US work side by side on the ISS, which has been orbiting Earth since 1998. "We understand that we are key players and we have to work on these missions together," Komarov said. "The station will be a serious platform for future research," he said. Experts hailed the announcement as a symbolic beginning of US-Russian joint work on deep space exploration. 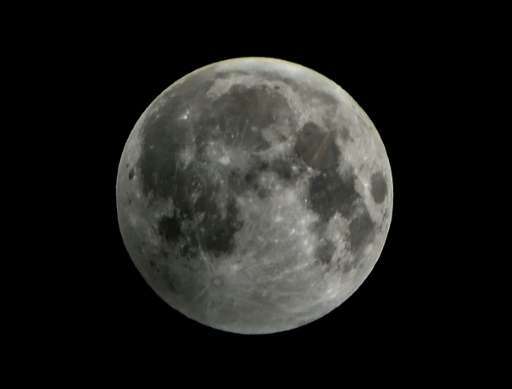 "It's better to fly together to the Moon than think who will strike first," Igor Lisov, an editor at Space News, an industry journal, told AFP. He said Russia had a lot to contribute, given the country's expertise and experience. "We are offering carriers for flights to a lunar orbiting station, we are offering our docking units or their components," he said, adding Russia had vast experience in creating life-support systems. "That is a rather significant contribution." Sending the first man into space in 1961 and launching the first Sputnik satellite four years earlier are among key accomplishments of the Soviet space programme and remain a major source of national pride in Russia. Why do you think the Russians and the US are cooperating in the first place? Out of love? No. They're trying to beat the Chinese plans for a lunar station. They know full well that they don't stand a chance individually. More to the point, it illustrates that the Russian interference and Russian hate thing is a total farce and lie of some component of the ruling systems of the USA. That they are suffering a factional war. The American public, the economy and everything connected to it has been thrown into the fray as a weapon, in order that these factions can go at one another. The public is treated as garbage (idiot undesirables) and a weapon in a sociopathic factional war of groups of hidden oligarchy of the usa. That oligarchy is both us based and global and cares nothing about the USA itself. This is only part of a mess that has been on going in various ways, for near centuries and built up into what you see today. Problem is, most people come into this mess unaware and have a hard time grasping the scope of it, and think it is all paranoia. Not so. Many hundreds of pointers and indicators exist. Like this USA Russian co-operation thing being so contrary to the public stance. An understanding of the radiation regime of cislunar space is critical in determining physiological effects of long-term exposure such as those of any Mars mission. Politics aside, I think it's a great idea. BTW, the Chinese have shown no inclination to cooperate in space. I am always glad to see American-Russian cooperation in space, but the focus should be on developing the hardware necessary to go directly to Mars from Earth orbit, possibly from the completed and paid for $100B International Space Station. Russia claims to have advanced nuclear propulsion for spacecraft further than NASA did, so perhaps their cooperation could help jump start development of a reusable, nuclear-powered interplanetary spacecraft capable of relatively fast missions to Mars. Every month shaved off the journey to Mars is one less month getting irradiated in interplanetary space and one more month getting work done on Mars. With enough Delta V and reusability, it could drop off one crew at Mars and pick up one already there every 26 months. Because it would spend so much time in Earth orbit between fast round-trips to Mars, lots of side trips to the moon could be added in. A spacecraft that powerful would be inspiring and make reaching the moon seem like child's play. That's what happens when you let your country be managed by lawyers and generals and both are in the employ of the business class. It was decided that the money was better spent on killing brown people to improve the short-term bottom line of the international mega-corporations rather than investing in the long-term future of our species. And what about the ESA and JAXA who have also worked side by side on the ISS which has been orbiting Earth since 1998, both agencies having a lot to contribute given both country's agencies technical expertise and experience. Are there any considerations to make this venture genuinely international or a pseudo-proxy to for political appeasement from the US to Russia? First manned mission to Mars will be either Russian or Chinese. This is because the only reasonable way to do this mission is in a 3 month total duration for the round trip or less. And this is only achievable by taking high risks and using nuclear energy indiscriminately . Two subjects that NASA bureocrats and US politicians hate , while China and Russia have no problem with that. SpaceX low cost reusable to get to orbit, EM drive to do the actual traveling. If it is the EM drive, then it's just about any destination in the solar system which will be available. A realistic timeline says 5 years and it's happening, not just planning but a go in actual motion. The Chinese aren't slowing down for anyone, specifically not for respect for hidden technology in US deep state projects which remains hidden. If the Chinese think the EM drive has come up as good, then they'll be putting functionality testing test beds in orbit inside of a year, as a guess. this will force the US deep state to being revealing some of their hidden technology. I dearly hope it blows up in their faces, for what they've hidden from humanity. No one deserves it more than they. The tinfoil hat brigade are out in force, I see. And the illiterate projecting negative proofing naysayers do their best to hold the world back to their level of weakness in mind. The Us government factions don't exist... and the moving target and growing(! )..of missing trillions of $ --somehow never happened. With the record showing $9.3 trillion going into the black budgets and the pentagon refusing to account for it. This is one out of many hundreds of factual known points that can be researched that will show a frightening picture to the given persons who piece it together. Thankfully, this denial and tin foil labeling is starting to go the way of the dodo bird and we can finally strike this insanity down and reclaim this planet from a breakaway hidden technology group. The tinfoil hat brigade are of course fond of misrepresenting what anyone sceptical of their nonsense says, as KBK shows: there are plenty of hideous dangers in plain sight, and either being denied (anthropogenic climate change) or actively threatened (use of nuclear weapons, fake news, overt and covert surveillance) by the American government without invoking imaginary "hidden technology". "this will force the US deep state to being revealing some of their hidden technology." "hidden oligarchy of the usa. That oligarchy is both us based and global and cares nothing about the USA itself. - KBK"
How about you identify some of this alleged "hidden oligarchy", and give direct links to some serious evidence it exists. There's plenty of evidence of an oligarchy in plain sight - the far right funders of the Republican Party such as the Kochs and the Mercers.